It's always nice to see people coming around to support equality, especially when they are on the other side of the aisle. 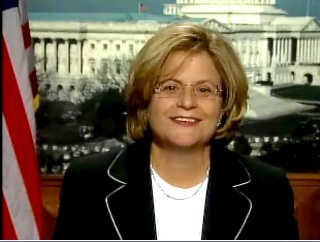 Congresswoman Ileana Ros-Lehtinen has verified her support for marriage equality to theWashington Blade, making her the first Republican member of the House to do so. Ros-Lehtinen also became the first Republican to sign on as a cosponsor for a bill repealing the Defense of Marriage Act — called the Respect for Marriage Act — back in September. Ros-Lehtinen's support for marriage equality had been presumed by some but never explicitly outlined. The Florida congresswoman's district includes South Beach, most of Miami, and the Florida Keys. She is further breaking from the leaders of her party in the House, who not only oppose marriage equality but also are funding a legal defense of the Defense of Marriage Act in court.